I've been so lucky to be able to help people along in their fitness and health journey and I'm truly proud of each and every person who makes the decision and takes their health, life and body confidence into their own hands. 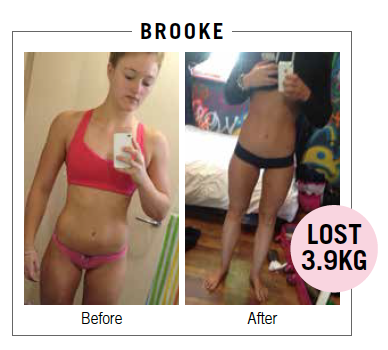 My 4-week program is a fantastic tool for transforming your body and life. 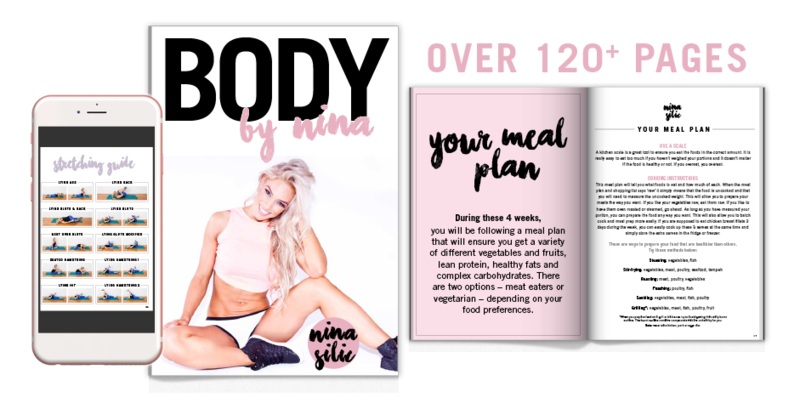 It is every thing I have tested and tried, everything I know that can help people lose weight, tone up and shape their body fast – BUT it really is the individual who makes the magic happen. By choosing to commit and follow my program, the results are predictable and can help anyone get to where they want to be with their mind and body. Below is just a small sample of some of these fantastic people who have committed themselves, believed in me and transformed their lives and bodies as a result. "Hi Nina, just wanted to you are my inspiration and thanks for the advice you've given me on what products to use. I am now able to do unassisted pull-ups :)". - Jessica B. "Hi Nina! I just wanted to say that I've been following you for a while and you are such a big inspiration to me. I think a lot of people can relate to the stages you have gone through in your journey, myself included. ... You have been so real throughout your journey and it makes my feel okay that I had to take a few steps back to where I am , because at the end of the day, we are all human and we are always learning. Most fitness people only share the highs of their journey, but you have shared it all and I feel so much more connected to you and your journey even through we never met haha Anyway, I just wanted to say a huge thank you and keep doing what you are doing because you are inspiring thousands of people world wide. Lost of admiration and love!". - Mary A. "Hi! I know you probably get a lot of messages. But, I wanted you to know you have been a HUGE inspiration to me on my fitness journey. I was 240 pounds and am down to 145 and finally doing it the right way! ... I'm in the Air Force and me and my best friend workout and lift and strive to be more like you! Just wanted to let your know you give me hope and you're an awesome person. Thank you for being you. Stay beautiful, goofy and positive". - Samantha R.